As kids, everyone has spent some time dreaming about what they want to do for a career when they grow up. Being a person with a disability may not even be a factor when choosing a career path. Someone once told me people choose their career path subconsciously, not only based on what they enjoy doing, but also based on their personal strengths. Not only did that statement sound logical to me at the time; but makes a lot of sense even today. Unfortunately, it's extremely rare to hear the terms "people with disabilities" and "employment" in the same sentence. What's more concerning, is those words seem to drum up fear and uncertainty in the minds of potential employers and other co-workers. Additionally, the Americans with Disabilities Act of 1990, which was supposed to provide "a level playing field", and prohibit discrimination based on disability hasn't made as much headway as one would like, so many years later. People with disabilities are still disproportionately on the unemployment roles in comparison to their non-disabled counterparts. After this came to mind, the next question I had for myself was why is this so? As with other issues that face people with disabilities, there seem to be many misconceptions around employing a person with a disability. Before giving birth to my son, I was part of the workforce for many years. Once, I had a co-worker who shared his opinion with me on people with disabilities maintaining gainful employment. He told me the only reason people who were disabled were hard workers was because they had something to prove to others due to their limitations. I tried to explain, as gently as possible, that people with disabilities were hard workers because they were like everyone else who were hard workers, and that it had no bearing on whatever limitations they were facing in life. Accommodating a person with a disability is another area where employers are misinformed. Some of them erroneously believe all disabled employees will definitely need an accommodation to perform their job duties. Just as each disability affects individuals differently, this isn't true in all cases. Most accommodations that need to be made end up not being as costly as the employer originally thought they would be. This helps the employee be the most efficient in their job duties, and is a prime example of giving someone "a level playing field" when it comes to employment. The income you receive as a result of your job, whether it is full or part-time in nature can also impact other aspects of your life. Due to the additional income, a person could contribute to the economy by frequenting different stores or supporting local business owners in their area. Maybe it's something as simple as buying from your local Farmer's Market or Food Truck. It could also open up your options in areas such as housing. I know I wouldn't have been able to become a homeowner had I not been employed at the time I was in the market to buy a house, since lenders take that into consideration before giving a perspective buyer a loan. Social interaction because of your job also has many benefits to your overall well-being. Along with increased income because of your job, the social interaction you engage in on a regular basis has a positive impact on your self-esteem. No matter what you choose to do for work, you're role, no matter how big or small, makes a difference in the lives of others, and that's an accomplishment in itself. On the other side of the coin, there have also been a few times where I spent time job hunting. That was always an experience too. I would apply for a job that I was qualified for, based on the skills I had and what they were looking for but, when I got to the interview, it would be a different story. Upon my arrival, some of the interviewers were more in shock when they met me because I happen to be disabled. As a result, the interview would get totally off track. Those interviewers never called me back for a second interview. Once, an interviewer asked me direct questions about my disability; at the time, I didn't know it was totally inappropriate for him to do so. Because I was able to think "on my feet", I tried to tell him what an asset I would be to their company if I was hired. The main point I was trying to bring to light was my disability didn't interfere with my ability to perform various duties at a job. Though the aspect of employment had stereotypical hurdles for me to overcome, it also had positive effects on my life. It helped me learn more about myself and others. All in all, I wouldn't trade it for the world. One of the biggest lessons I learned was finding a job as a person with a disability takes a lot of patience and perseverance but, like with anything else in life, is totally possible. 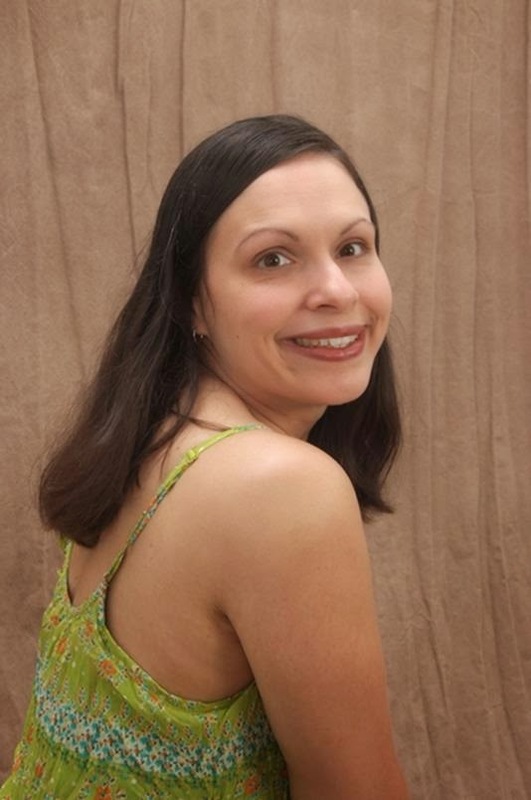 Christinne Rudd is a disability advocate, speaker, author, and consultant. Mrs. Rudd holds a Bachelor’s Degree in Legal Studies and a Master’s Degree in Criminal Justice both from the University of Central Florida. Her interests include Parenting with a Disability, Disabled Victims of Crime, IEP issues and the ADA. She authors a disability-related blog at http://mamasmunchkin.wordpress.com/. You can also "like" her facebook page at www.facebook.com/MamasMunchkinBlog. You can reach her at mamasmunchkin21@yahoo.com.